If you’re in the market for a new home, you may still be slow to pull the trigger, given the state of the economy over the last few years. This is perfectly understandable, of course. However, it’s also important you get past this initial cautiousness. As it turns out, now is a great time to purchase a home, so don’t let this opportunity pass you up. First, let’s look at some important trends that make now such a good time to buy a new home. For one thing, the economy showed real signs of improvement in 2014—something everyone can be thankful for, whether they’re looking to buy a home or not. It was especially inspiring where new jobs were concerned. However, our nation’s gross domestic product was also up and shows signs of further increasing. The result, amongst other things, is more confidence amongst consumers. The last two years have seen abnormally high appreciation prices. Fortunately, they finally leveled off in 2014 and have stayed at moderate levels. While home prices are still increasing, they’re now doing so at a rate that is consistent with historical performance. Although the Federal Reserve ended its quantitative easing approach in 2014, mortgage rates (http://www.acemortgagela.com/rates.php/) have still continued to decline. 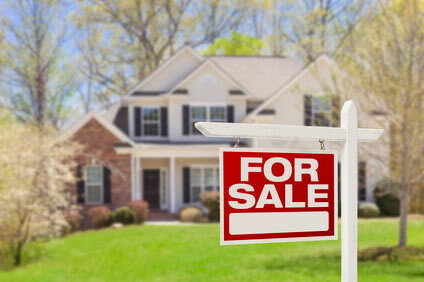 This has also lowered the costs associated with buying a home. In fact, recently, 30-year fixed rate mortgages have been trending under 4%. While there wasn’t much in the way of good economic news over the past seven years, one sector that saw growth was in investment properties, predominantly because so many were distressed. This made them hot commodities for those with the money and wherewithal to scoop them up and flip them for quick cash. This year, though, distressed property sales are expected to fall 30% from where they were in 2014. On top of that, there have been fewer investors in single-family homes as well, on a fairly large level. All of this makes for a market that is much more welcoming to home buyers. These first four factors ensure that you won’t be overpaying for a home. Put another way, you can get more home for less money than compared with the last handful of years. Those last two metrics mean you’ll have far less competition to face too. More than likely, those interested in the property you want will be other private buyers who also have limited funds to work with. That isn’t to say you won’t have a few challenges standing between you and the home of your dreams though. The tough economy has meant that many businesses, to say nothing of the government, have become much more cautious in how they conduct themselves. For example, mortgage rates may be down, but that doesn’t necessarily mean that they’ll be available. In fact, there was no discernible improvement in mortgage credit availability over the past year. Also, while prices and competition may be down, it turns out that the number of homes for sale is down too. 2014 saw the number of new and existing homes for sale continue to fall below the average level. One reason for this may be that sellers are taking their homes off the market and offering them to renters instead. This would help explain the record number of renters we’re currently seeing. None of this should scare you off from looking for a home though. Instead, you’ll just need to start saving and your search as early as possible. The good news is that you’ll have less to worry about in terms of the economy dropping out from under you. Let the professional team at Ace Mortgage (http://www.acemortgagela.com/) help you make your move into the housing market.